Welcome to Byers Chiropractic Center! 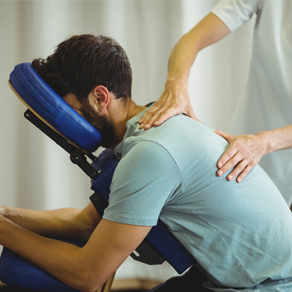 Located in Waynesville Ohio, the team of health professionals at Byers Chiropractic Center are dedicated to helping you achieve your wellness objectives - combining skill and expertise that spans the entire wellness spectrum. Dr. Jim Byers is commited to bringing you better health and a better way of life by teaching and practicing the true principles of chiropractic wellness care. Dr. Byers team includes massage therapists, rehab specialists, and a wonderful caring staff. Patients seeking treatment are assured of receiving only the finest quality care through the use of modern chiropractic equipment and technology. Dr. Byers and the staff have a genuine concern for your well-being! Dr. Byers utilizes a state of the art digital foot scanner to assess lowback,knee, and foot/ankle imbalances. If you are new to our website, please feel free to discover and learn about chiropractic. If you are interested in starting your journey towards wellness please subscribe to our award winning newsletter. If you are already a newsletter subscriber, please explore the member wellness section of our website for wellness articles, resources, and health facts---specifically targeted by Dr. Byers to your wellness needs and interests. 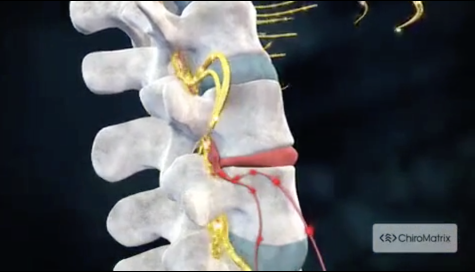 Dr. Byers has been freeing people from pain since August 1999 in his clinic in Waynesville,Ohio. With his experience, he is committed to promoting the health and well being of his patients. Dr. Byers uses a 'whole person approach' when taking care of his patients. By combining the very best hands-on-technique, state of the art physiotherapy procedures, and massage therapy Dr. Byers is able to help you to accelerate and/or maintain your journey to good health. "The staff was very courteous and Dr Byers was very informational and explained everything that he was going to do to help with whatever problem that you have, also inform you what he would do to help you take care of any problem that you have. I would definitely recommend Byers Chiropractic Center to everyone!!" "The adjustment/massage was perfect and much-needed! Thank you!" "Byers Chiropractic Center Thanks for the review... always glad to see you come in! Glad to see you have a web site ..."